The Government announced during Lords Questions, that the new screening test, known as the faecal immunochemical test (FIT) will start to roll out in England from December 2018, following questions raised by Baroness Benjamin and Baroness Thornton. If you’re wondering what this announcement means and why it’s so important, read on to find out more. What is FIT and why do we need it now? 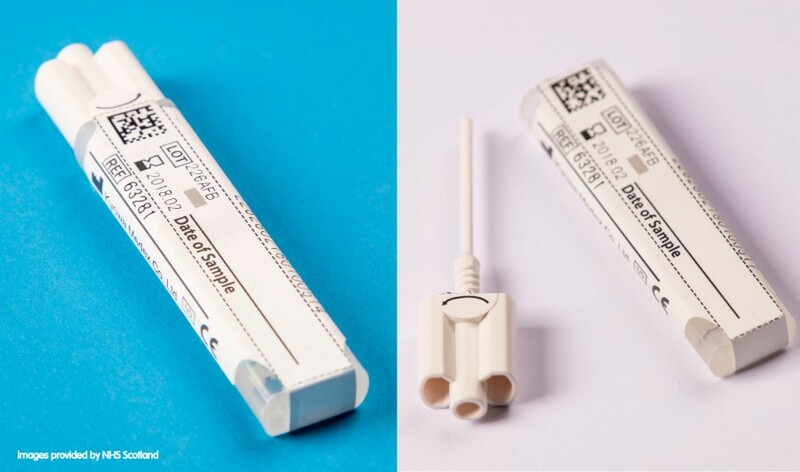 The faecal immunochemical test (FIT) is an improved screening test that works in a similar way to the current test by detecting hidden traces of blood in poo that could indicate bowel cancer or pre-cancerous growths known as polyps. People with an abnormal result or where blood is detected will be referred for a colonoscopy to either confirm a diagnosis of bowel cancer or receive the all clear. FIT has the potential to detect twice as many cancers and four times as many advanced polyps than the current test. This is important because the more cancers we can prevent or pick up early the more lives we will save. In fact, nearly everyone diagnosed at the earliest stage of bowel cancer will survive. FIT measures the amount of blood present in poo while the current test can only tell you if blood is present or not. Also, unlike the current test, FIT only picks up human blood, so it won’t pick up blood that’s due to the foods we eat. This particular “feature” is what makes FIT more accurate. The sensitivity of FIT to detect blood in poo can be adjusted to be more or less accurate. Adjusting the sensitivity threshold determines the number of people who will be referred for colonoscopy. The lower the threshold, the more sensitive the test is to blood and the more cancers and precancerous polyps are detected. However, this also means more people who have traces of blood in their poo but who don’t have bowel cancer will be referred for a colonoscopy, and we don’t have the workforce to cope. FIT can increase the uptake of screening: FIT is relatively easier to complete than the current test. It only requires people to collect one poo sample at home rather than three samples from three separate bowel movements, like the current test. Because of this FIT has been shown to increase the number of people participating in the bowel cancer screening programme by up to 10%, particularly for previous non-responders and first-timers, as well as hard to reach groups. So now we have the announcement what’s the plan for roll-out? NHS England has proposed a starting sensitivity threshold of 120ug/g (micrograms of blood per gram of faeces) in England, which means an extra 1,500 cancers and 8,500 high risk polyps could be detected. But this sensitivity level is far from optimal, given that other countries around the world implement the test at 20 – 45ug/g, which is far more sensitive. Remember, the lower the sensitivity threshold, the more cancers can be detected but more colonoscopies will need to be carried out. It will also mean more samples need to be analysed by pathologists. However, at this time, a sensitivity threshold of 20 – 45ug/g would have a significant impact on both colonoscopy and pathology services, particularly as many units are already struggling to cope with the increasing demand for services. There just aren’t enough staff to carry out the number of procedures a highly accurate setting would bring. That’s why FIT needs to be brought in initially at a level that is manageable for the capacity of the current NHS workforce and this is why we are calling for investment in workforce. You can read more about the lack of workforce capacity and the impacts of increasing demand for colonoscopy services in a previous blog. NHS England have said that they plan to review the screening programme three months after implementation to assess the impacts of the sensitivity level on NHS capacity and determine if improvements can be made. It is essential that there is a clear and timetabled plan of action to increase the sensitivity level and also to ensure FIT is rolled out sustainably, so that it won’t add more pressure to an understaffed NHS. But, if we are to improve the sensitivity of FIT to a level that matches international standards, the Government must ensure that the NHS has the resources and capacity to deliver FIT within the announced timescale and beyond. Without additional investment in colonoscopy and pathology services the opportunity to detect more bowel cancers early and save lives will be lost. And where does lowering the screening age fit into all this? While the ideal screening programme would screen all men and women from the age of 50 – 74 using FIT, in line with Scotland and international best practice, lowering the screening age to 50 would mean an extra 7.5 million people in England alone will need to be screened for bowel cancer. We must ensure the NHS has enough staff to deal with the increase in demand this would have on bowel cancer diagnostic services. We made this clear to the Government during Bowel Cancer Awareness Month when we joined our supporter Lauren Backler in handing in her petition of nearly half a million signatures to the Department of Health and Social Care calling for the screening age to be lowered. FIT has the potential to be a game changer for bowel cancer, so it’s vital that it’s introduced effectively and sustainably. Too many lives are being lost unnecessarily to the disease, and FIT can change this. Become a campaign supporter and join thousands of people helping us lead the change to improve early diagnosis of bowel cancer. Read a previous blog post on an optimal bowel cancer screening programme set out by the UK National Screening Committee. Find out more about bowel cancer screening in your area.